And yet down by the tracks, near the bus activity, under the highway you’ll find a definitive example of what a coffee shop should be. Laptop squatters at Peet’s and Starbucks, this place isn’t for you. There is no “too cool for school” attitude that emanates around several Intelligentsia cafés. The baristas here shockingly don’t have attitude. Or many piercings or tattoos come to think of it. They’re what we call “friendly” in a customer service sense, a rarity in the third wave coffee business. Well, maybe it’s a different story if you show up with a Chicago Bears jersey. Stone Creek roasts its own beans, sourced from some of the most sought after farms in Africa and South America. They do cuppings every other week to help you choose which beans to feature next at their ten cafés and sales to consumers. The atmosphere? Besides a separate tasting room and the roasting facility, there are numerous seating areas whether you want to feel more like high society France watching the highway (not the Champs-Elysée) by the window or join more of the urban warehouse vibe inside with pulsating beats while sitting at the counter. There is even a brick fireplace for those frigid Wisconsin winters and a barista training center that offers lessons even to you, the novice barista. If you’re expecting the usual dry, thoughtless baked goods to munch on while fueling with caffeine, welcome to a new world. Stone Creek’s Factory Café bakes all of its good from scratch, including a terrific croissant with just the right flakiness to butter ratio, banana buckwheat muffins, and cookies. Best are the homemade biscuits with jam, a too often morning kick-starter. Most importantly, the coffee here is exceptional. 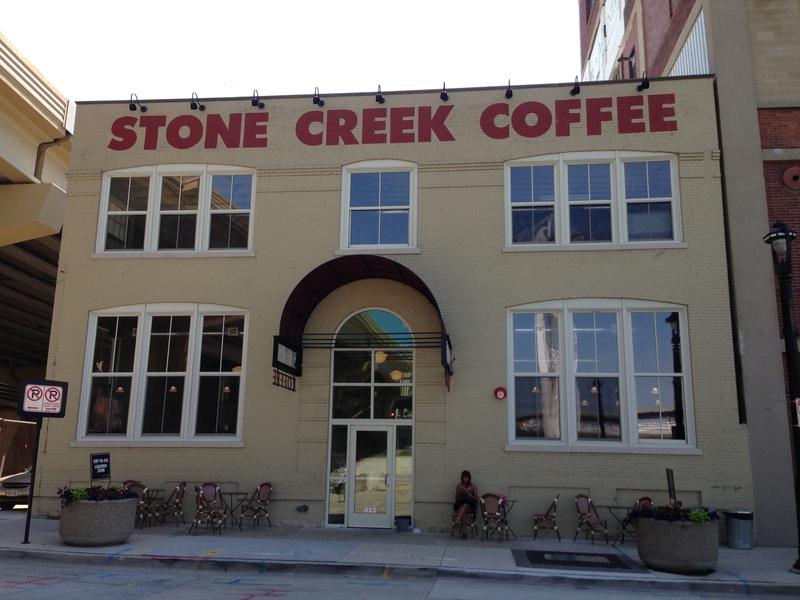 Whether it’s drip, cold filtered, or involves latte art, Stone Creek can certainly compete with the nationally celebrated café-roasters in the larger markets. I spent a week in Chicago before arriving here. 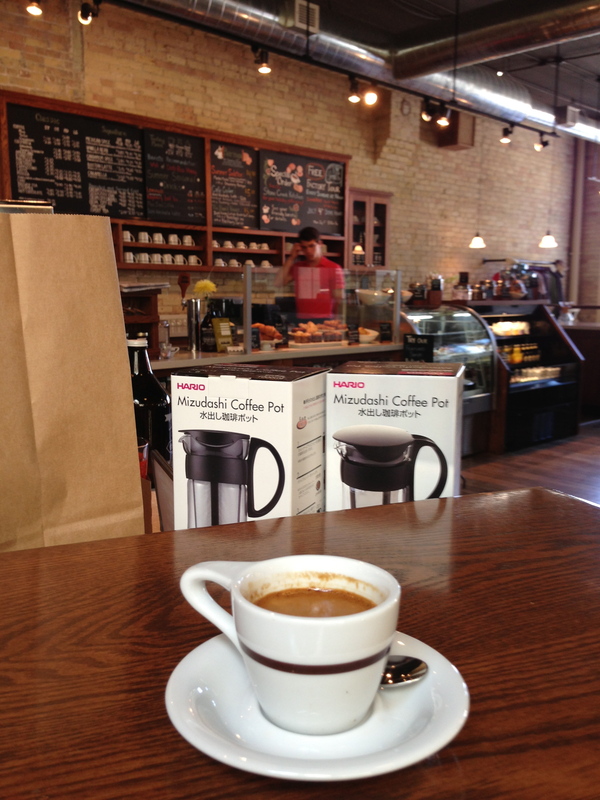 The most robust espresso pulled to pure crema perfection on the trip happened to be in Milwaukee. Monday is Labor Day, so you still have an entire weekend to prepare for the backyard BBQ. As always, I must give my full recommendation to the Trev’s Bistro Missouri style ribs. Since we’re in the heart of blueberry season, then blueberry crumble pie is essential. Don’t forget the lobster rolls if you’re back in New England! Have a wonderful and safe Labor Day weekend everyone…and Happy Grilling! 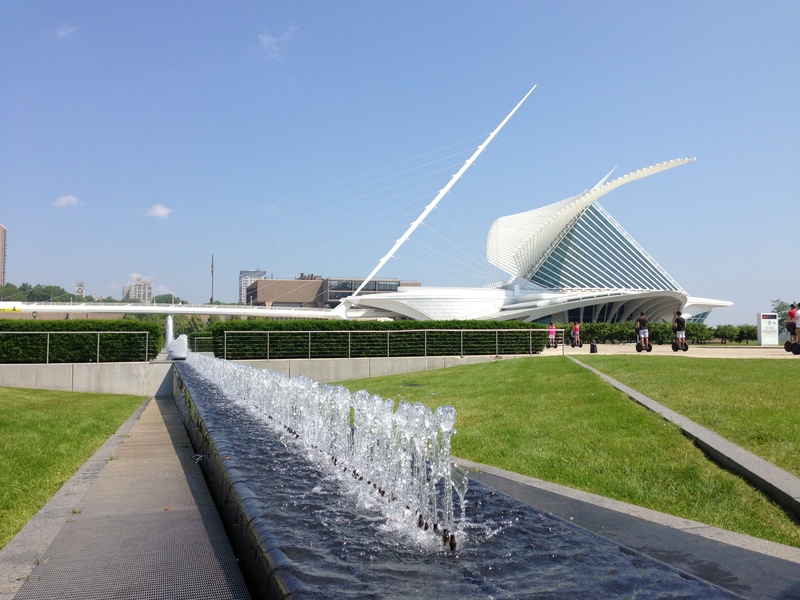 This entry was posted on August 29, 2013 by trevsbistro. It was filed under BBQ, Coffee, Insight, Milwaukee .